A proper configuration of the envelope is essential to guarantee health standards and comfort inside buildings. Solving these deficiencies becomes more important in summer and winter, where climatic conditions reveal the weaknesses or absences of insulation of dwellings. To guarantee such comfort, the regulation establishes indoor conditions of 23-25 ° C and 45-60% of relative humidity in summer, and of 21-23 ° C with a relative humidity of 40-50% in winter. Apart from those aspects established in regulations regarding thermal transmittance, tightness and ventilation must also be taken into account. Energetic efficiency in buildings requires that most of the comfort is obtained thanks to the building itself: the form of enclosures, the materials used and the orientation of the building. The choice of insulation systems is a key point to achieve a healthy and sustainable building. If we compare the thermal conductivity of the main materials, we find that insulators like polyurethane systems are the ones that offer a better insulation thanks to their extremely low levels of conductivity. 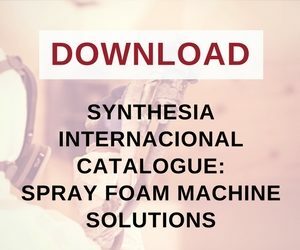 Although the differences among expanded polystyrene, extruded polystyrene, mineral wool and spray foam systems (polyurethane) are of a few decimals, they can represent a difference of several centimetres in thickness for the same thermal resistance. 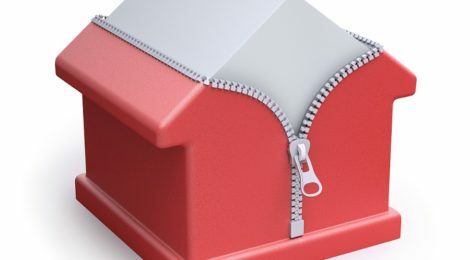 In addition to thermal insulation, a good building must have the right tightness: if the building is not properly sealed, there will still be a loss of energy, which will have a direct impact on its occupants’ health and comfort. The envelope of a building does not only affect interior comfort and energy consumption. There are also health problems related to the infiltration of unwanted particles to the interior, such as radon gas. Exposure to radon gas has serious health consequences. It is estimated that between 3-14% of cases of lung cancer would be related to inhalation of radon gas, according to the WHO. To prevent radon gas from contaminating interior spaces, there are two possible available methods: ventilation and installation of an anti-radon barrier. 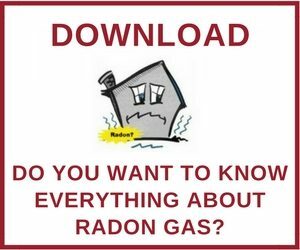 Several studies have shown that anti-radon barriers are the most effective method to prevent the infiltration of this gas. Taking into account all the factors previously mentioned: thermal insulation, sealing and protection against radon gas, we can conclude by saying that polyurethane systems contribute to keep our buildings “healthy”.